The children receive homework regularly to enhance and secure their learning in a variety of topics and/or skills. 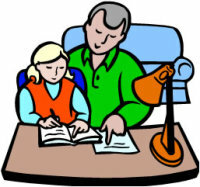 Homework is set appropriately to the age and aptitude of the child. We expect all children to attempt the tasks and for the work to be returned to their teacher for marking. This allows us to further identify any gaps that your child may have in a particular subject and/or develop their knowledge in others. In KS2 we run two clubs at lunchtime (Tuesdays and Thursdays) during the week to support the children who may have struggled with the homework or may have not had sufficient time to complete it at home. On occasions your child may be asked by his/her teacher to attend one of the clubs for them to be supported with some of the tasks. We would also welcome your comments if you feel, following a particular difficulty with a piece of homework, that your child would benefit from gaining further support.